Faustino Rivero Rioja Tempranillo is a popular Spanish Red Wine available from DrinkSupermarket.com in 75cl to buy online. Visit DrinkSupermarket.com for the best price for 75cl of Faustino Rivero Rioja Tempranillo or compare prices on our other Spanish Red Wine products. The family behind this wine have been making Rioja for over 100 years, and this bold, juicy Tempranillo is a shining star in their portfolio. Bright with red berry fruit and a hint of vanilla & spice thanks to two yearsâ careful ageing in oak barrels, this is soft, supple and extremely sippable - Gorgeous with roast lamb or mushroom risotto. This wine is ideal for drinking now but can be kept for up to 1 year. Where to buy Faustino Rivero Rioja Tempranillo ? Faustino Rivero Rioja Tempranillo Supermarkets & Stockists. 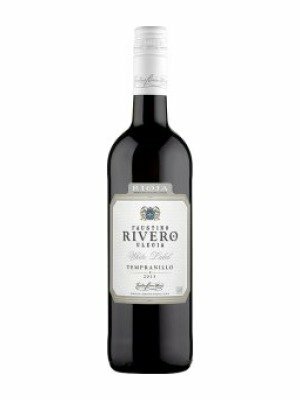 You can buy Faustino Rivero Rioja Tempranillo online in most retailers and find it in the Spanish Red Wine aisle in supermarkets but we found the best deals online for Faustino Rivero Rioja Tempranillo in DrinkSupermarket.com, Tesco Wine, and others. Compare the current price of Faustino Rivero Rioja Tempranillo in 75cl size in the table of offers below. Simply click on the button to order Faustino Rivero Rioja Tempranillo online now.